What’s the Big Deal With Fiber Cement Siding? Fiber cement siding is a relatively new option for homeowners who are planning exterior renovations. Created in the 1980s, it was originally designed to function as an alternative to then-popular asbestos tiles. Fiber cement siding boards, sheets, and trim pieces are all created with these main ingredients, from a mixture of sand, wood pulp, water & cement. 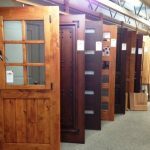 The material is extremely durable, a variety of warranties depending on the manufacturer, and has been steadily growing in popularity among homeowners in the United States. 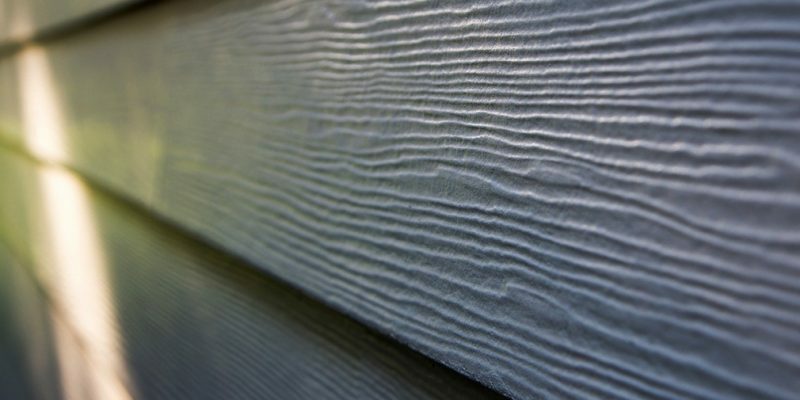 Here, you’ll find out more about why fiber cement siding is a great option and why you should consider it for your upcoming remodeling job. What types of homes look good with fiber cement siding? One of the best things about fiber cement siding is that it is available in so many styles, there really aren’t any home types it won’t work with. Boards that are designed to look like traditional lap siding, for instance, are ideal for conventional houses, such as Victorian styles. Fiber cement panels, on the other hand, can either be smooth for use on ultra-modern residences or textured to look like stucco, which is ideal for Craftsman and Mediterranean style structures. No matter what aesthetic your house happens to have, there is a siding option that is perfect for your needs. How many color choices are there? Like vinyl siding, fiber cement siding is available in a wide array of colors. The difference, however, is that the manufacturer, James Hardie uses a special technique to bake hues into their siding, similar to using a kiln. This makes the boards and panels more colorfast than traditional vinyl siding and means homeowners like you will have to do fewer touch-ups through the years. It is worth noting, though, that fiber cement is easy to paint, so if you ever do need to make repairs, it won’t be difficult to do so. Does fiber cement siding have to be used alone? The short answer to this question is, “Certainly not!” Because fiber cement siding is so versatile, it is the perfect material to use in conjunction with other materials. More and more homeowners are interested in adding depth and texture to the exteriors of their homes, and fiber cement siding helps them accomplish this. One great idea is to mix fiber cement panels with raw wood boards for a contemporary look. Or, if you reside in a traditional house, consider using a brick or stone veneer paired with James Hardie’s Lap siding. Typically, fiber cement siding is slightly more expensive than its vinyl siding counterpart. However, it offers distinct advantages, that vinyl styles do not. Furthermore, fiber cement siding is rated to withstand hurricane force winds, which is a particularly appealing perk for our clients who live in the coastal Carolinas. 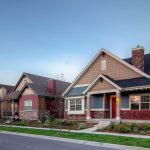 Although it certainly is good to stick to your budget, understanding the benefits of James Hardie siding is also essential. Additionally, remember that you may be able to get financing if you can’t afford to pay for all of your residential siding at one time. Whether you have questions about fiber cement siding or you are ready to have it installed on your house as soon as possible, the team at Hatch Homes can assist you. We have plenty of experience with James Hardie’s fiber cement products and look forward to working with you as your upcoming project moves forward. We are excited to meet you and your family!